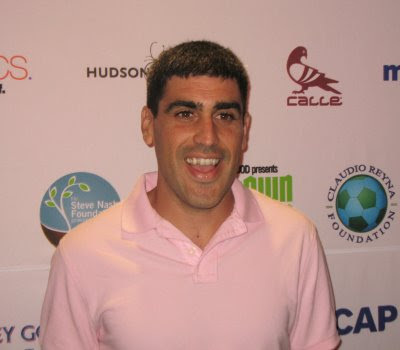 Two worlds descended upon the Hudson Terrace Wednesday evening, as superstars from the NBA and Soccer joined forces to raise funds for both the Steve Nash Foundation and the Claudio Reyna Foundation . Both foundations support the development of urban and disadvantaged youth in sports and education. The official afterparty for the 2nd annual "Showdown in Chinatown" began with a delayed start as the exhibition game earlier in the day was delayed due to rainy conditions. Once nightfall came though, the stars appeared. Making appearances at the party included professional soccer stars Reyna, Thierry Henry, Adrian Mutu and Javier Zanetti. 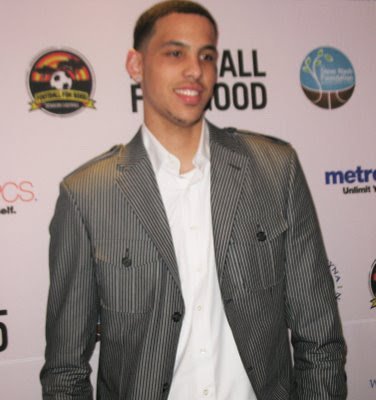 The NBA was represented by Nash, Chris Bosh and draft prospects Hasheem Thabeet (UConn), Austin Daye (Gonzaga) and Daniel Green (North Carolina). 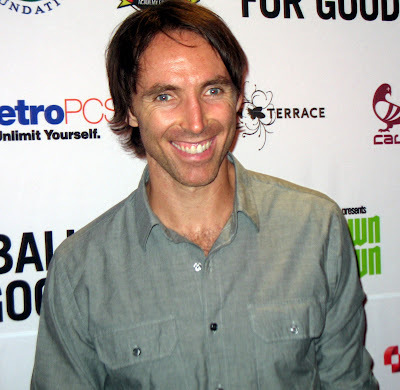 Nash, the two-time NBA MVP, stated that his, "love for soccer helped to bring both worlds together. I am very passionate about soccer and I have been playing since I was young. 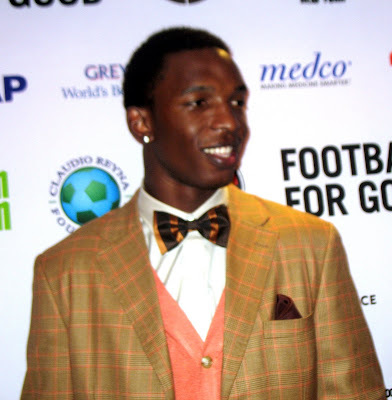 This gives me an opportunity to have alot of prominent athletes come together to support the foundations." Reyna also felt optimistic about the gathering and felt that, "anything that can bring awareness to our charities will help further our causes." For some of those involved, playing soccer was anything but familiar territory. Spectators said that the 6'10" Bosh looked completely out of his element during the exhibition game. Bosh said that he, "never played soccer before, but it was an interesting experience. It was fun being out there." Below are photos of some of the superstar athletes in attendance.